Does the company put the customer at the centre of all operations? Our research translates customer feedback into real business results. It forms the foundation for solid business strategies to grow and retain your customer base and directly impact your bottom line. Knowing what your customers need and want is vital for business success. And acting on this knowledge will make sure that your organisation stays relevant, placing you in a position to predict what they will need in the future. nlighten undertakes research for clients in the business-to-business environment to mitigate their business risk, and retain and grow accounts. The research is done at strategic level, where our highly experienced researchers speak with key decision makers and influencers. Results provide insight into current business exposure or lack of it. 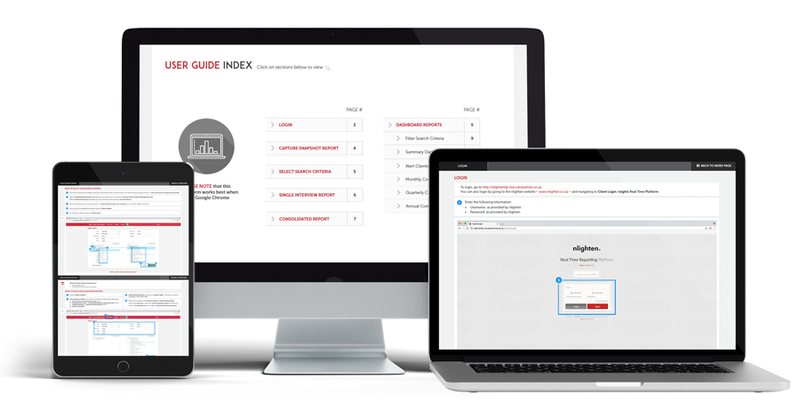 It also unpacks critical success factors and even key competitor information. And as a neutral third party, we are at liberty to ask the kinds of questions that the business often can’t. While, over the years, we have identified and developed key service drivers that underpin our research, each project is tailored to the client’s business needs. nlighten’s operational research in the business-to-business, business-to-business-to-customer, and business-to-customer environment is done predominantly at management level. Results provide insight into the day-to-day operations and service delivery, demonstrating whether expectations are met and, if not, what would need to take place to ensure expectations are met and, even better, exceeded operationally. Each project is tailored to the client’s environment. The research Is predominantly carried out telephonically but can also be web-based, as required. You have the power to get the right information, when you need it most, at your fingertips, in real time. 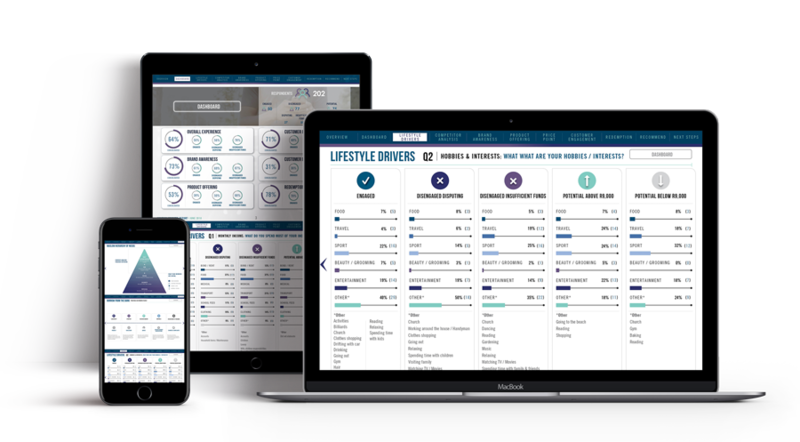 nlighten’s real-time customer experience management platform allows you to view information in a myriad of ways. 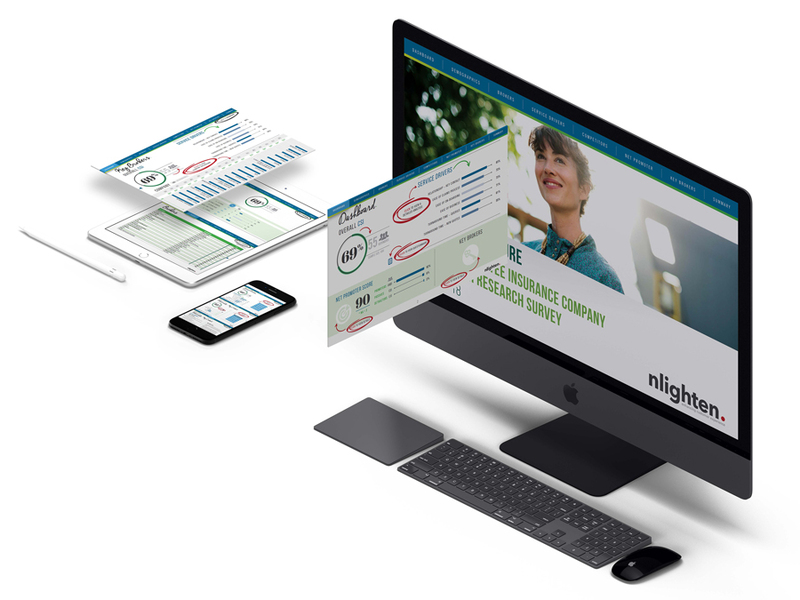 Using nsights, you can access information about your customers’ preferences and feedback any time and in any way you like – at the touch of a button. Our highly sought-after, world-renowned facilitators lead focus groups on behalf of our clients. This is done by way of a collaborative methodology that enables us to engage all participants to gain the best possible insight and feedback. Not only does the participatory methodology test customer sentiment, it is also a great tool to test improvements, changes and developments. Gauging employees’ levels of engagement allows employers to design practical ways to empower them, to improve the way they engage with customers and to deliver high levels of service standards that ultimately affect your business’s bottom line. nlighten’s employee engagement survey is a highly efficient and cost-effective way to generate quantitative and qualitative insight into staff sentiment and arrive at workable solutions to challenges. Typically, this form of research looks at company climate and staff loyalty, retention and morale, among other factors. We conduct staff engagement surveys across hierarchies. Each project is tailored to the client’s environment and surveys are typically web-and paper-based. nlighten’s mystery guests and shoppers gather information, across all sectors, to test clients’ operations, service standards, new product implementation activities, and the guest or shopping experience, among other considerations. These may be services or operationally oriented. What sets us apart is the depth of experience of our participants and the skillful ways in which we match the guest demographic with the client’s market segment. nlighten’s value lies in the depth of our research. We delve into deep seated subconscious motivations for customer behaviour and translate this information into language that can be easily shared across all levels of an organisation. The simplicity of our reports belies their depth of knowledge, and our resulting strategic suggestions and action plans are both straightforward and practical. Our experienced researchers don’t just focus on the numbers, but rather are able to delve deeper to uncover sentiment and actionable insight. Our researchers engage with key stakeholders to conduct qualitative face-to-face interviews and quantitative telephonic research. nlighten also has the technology in place to set up online interactive web surveys that give clients customers and staff a functional and robust method to engage and so expose pain points and highlight moments of truth within your organisation. To find out more about our tailor-made Customer Experience Research offerings, please contact nlighten on 021 794 7533 or email us the form below for a no obligation discussion about boosting your bottom line by knowing exactly what your customers want.